Mazel tov! After years of study, it's time to strut your stuff on the bimah. 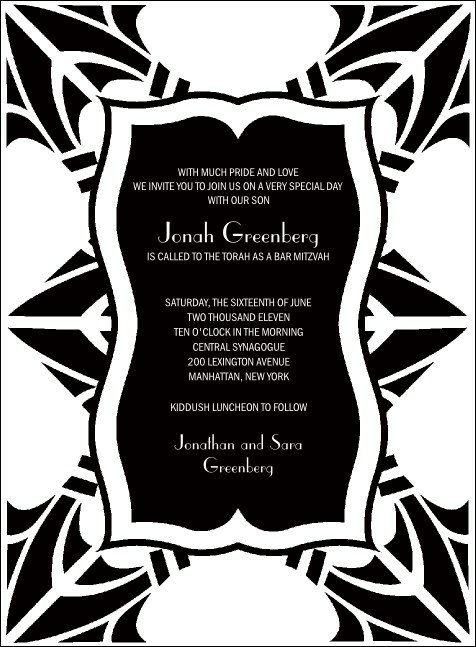 Encourage all your friends and family to join you as you chant your portion with this Bar Mitzvah Invitation in black and white. This sophisticated design highlights your name and provides fourteen lines of text on the template for all your details. Share the nachas with TicketPrinting.com.